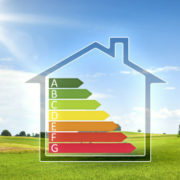 Energy Efficiency: Only a Luxury? When you think of energy efficiency, you may first imagine shiny, new appliances that cost thousands of dollars and run on vegetable oil. However, energy efficiency is simply managing your consumption of energy and is achievable through many ways – and improving energy efficiency does not have to break the bank. The average person in Louisiana spent approximately $4200 on energy in 2012, and our goal is to help you lower that expenditure. Here we have compiled a few of our favorite energy efficiency tips to help you start managing your energy consumption today. Weather stripping around exterior doors and windows is an inexpensive, trusted method of maintaining your home environment while keeping outdoor elements out. Weather stripping is fantastically affordable – often $10 or so for a medium sized roll. Caulking is another delightfully affordable way to maintain your indoor environment. Caulking is a special putty that can be precisely applied to seal gaps in window frames, door frames, and similar openings in a home or building. Caulking is often found for $5 or less. Skylights allow for beautiful natural lighting while allowing you to use your electric lights less. Skylights can also be used as vents that draw out warm air to keep the room cool. These quick tips, and many more, can help improve energy efficiency in your home or building, ultimately saving you money. Improving the efficiency of your roof is no exception, and New Orleans’ top roofers are here to help you save money and protect your property for years to come. Call our professional roofers at (504) 874-4002 to discuss energy efficiency for your roof today! 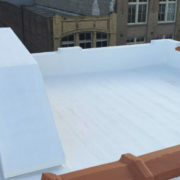 https://greenstarcoatings.com/wp-content/uploads/2018/01/blog-energy-efficiency-roof-1.jpg 314 596 admin http://greenstarcoatings.com/wp-content/uploads/2018/01/logo9.png admin2018-01-03 13:30:272018-01-19 16:52:28Energy Efficiency: Only a Luxury? How Do Coatings Keep Roofs Cool? If you have begun to explore the benefits of roof coatings, you will surely have learned that they drastically reduce the temperature of a roof. How exactly is this possible? Here we discuss the basics of how roof coatings can keep a roof cooler, and what these cooler temperatures mean. Several factors contribute to how roof coatings keep a roof cool. The traditional light color of a roof coating is a huge factor in the cool relief they can offer. Lighter colors absorb less heat, helping keep the roof and the nearby underlying structures cool. 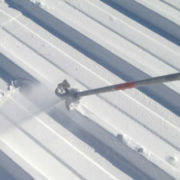 Additionally, light colored roof coatings reflect sunlight and heat, further keeping the roof cool. Emissivity is the ability of a surface to radiate away heat. Roof coatings are engineered to emit away approximately 70% to 90% of the heat they absorb, while traditional roofs emit approximately 5% to 25% of the heat they absorb. Roof coatings are specifically designed with cool temperatures in mind. What Does a Cooler Roof Mean For You? A cooler roof extends the life of your roof system by years. Radiation and heat accelerate the decay of your roof, so a roof coating that reflects heat and UV radiation will drastically increase the life of your roof. If you are ready to cool your roof and protect your home for years to come, call our professionals today at 1-504-874-4002! We are the roof coating authority of Louisiana. 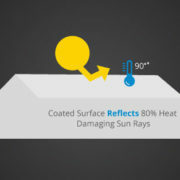 https://greenstarcoatings.com/wp-content/uploads/2018/01/blog-how-roof-coating-works.jpg 314 596 admin http://greenstarcoatings.com/wp-content/uploads/2018/01/logo9.png admin2018-01-03 13:29:252018-01-19 15:32:35How Do Coatings Keep Roofs Cool? Artificial lighting in commercial buildings can project an uncomfortable aura and dampen the workplace environment. We have all heard of skylights in a home, but why only limit them to residential use? Commercial skylights are a practical, trusted route to channel in natural light, reduce utility usage, and thereby cut down your utility bill. Here we walk through the benefits of commercial skylights and where to turn for assistance with your existing skylights. Heating, cooling, illuminating, and supplying electricity to a commercial building is not an inexpensive endeavor. Commercial property owners explore every avenue to save on utilities, and skylights are a trusted route to savings. Channeling natural lighting reduces the demand for electric lights. Running electric lights less cuts down on utility costs. Not to mention, natural lighting bathes your building in a refreshing glow to boost mood and productivity. The success of your skylight depends on the specifics of the light that is installed. The water tightness, wind resistance, shading, sound reduction, ventilation, and UV coatings of a skylight should all be considered before installation. If your skylight leaks or is degrading, our GreenStar Roof technicians are trained and qualified to repair your skylight and update its specifics that will best fit your commercial building. 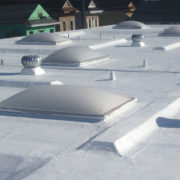 Waterproof membranes are an effective and money-saving way to improve your roof’s performance. They are definitely more affordable than getting a brand new roof. If your roof could use some extra waterproofing and energy efficiency, you should consider having it coated. When we use the term “weatherproof“, we mean just that. Roof coatings will make your roof immune to leaks and greater resiliency to high wind and storms. This is because the waterproof membrane is completely sealed at the seams, allowing harmful elements to just roll off. While there is a bit of an initial investment involved, you will start to enjoy your savings rather quickly. That’s because you save money by getting a coating instead of a whole new roof, and the coatings are very long-lasting, minimizing repair costs. Plus, if you get them painted white, your building will stay cooler using less energy. All you have to do is give us a call and let us know you’d like to have a roof coating applied. We will discuss your best options. You can rest assured that, when you choose us as your roof coating installers, you will be getting the industry’s best products and practices.